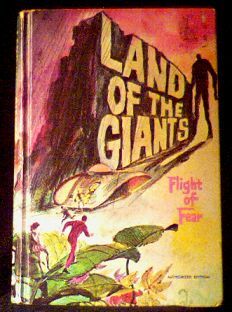 Whitman tv adventure novel featuring the campy show about little people. Minor edge wear but good binding. Small amount of price sticker residue in top right corner of cover, but no tears. Name written in ink on inside back cover. Not too many collectibles from this show are around. Website design and hosting by Sohodojo Business Services. Item 228 of 466 items displayed in viewer. 0 items in cart.